Cristiano Ronaldo is a famous footballer from Portugal. He was born on 5th February 1985 in Funchal, Portugal. His father was José Dinis Aveiro and he was a gardener. Her mother is Maria Dolores dos Santos and she was a cook. He’s got an older brother, Hugo, and two older sisters, Elma and Liliana Cátia. When he was young, Cristiano joined the Andorinha football team. Two years late he changed to C.D.Nacional . In 2000 doctors discovered he had a heart problem. He had an operation and started training three days later. In 2001 Cristiano started his adult career in Sporting. In 2003 Manchester United offered Cristiano a contract for more than 12 million pounds. In 2005 Cristiano’s father died at the age of 52. In 2007 he was named the Player of the Year and Young Player of the Year. In 2008 Cristiano won the European Golden Shoe Award for the 2007/2008 season. In 2009, he became the most expensive player in history, when Real Madrid bought him for 80 million pounds and he became the FIFA World Player of the Year, just like Luís Figo in 2001. In 2010, Madame Tussauds Museum created a wax figure of Cristiano. On 3rd July 2010, he became a father, when his son Cristiano Junior was born. In 201, he won the Golden Shoe Award for the second time. 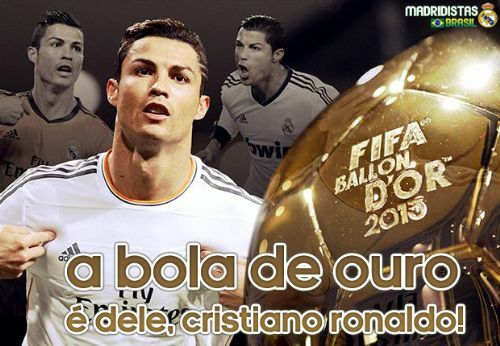 In 2014, he also won the Golden Ball for the third time. Cristiano is a fantastic player and an incredible human being.